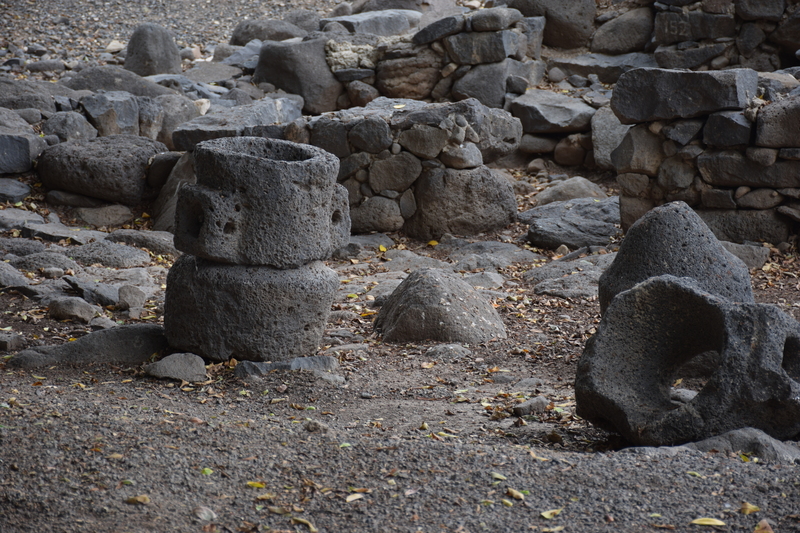 Basalt rock was commonly used for making millstones. A conical shaped stone was used as the base. A hollowed out stone was fitted on top with places to attach handles. Grain was poured into the top and would be ground against the stones. The ground flour would seep out of the sides.